Today I was at Big Adventure Comics. It's a local comic shop in Santa Fe. The people there are really nice. 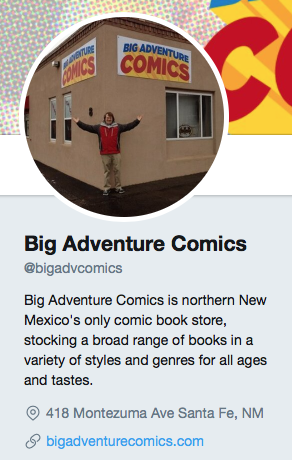 They support local and independent comics too. I recommend this store.